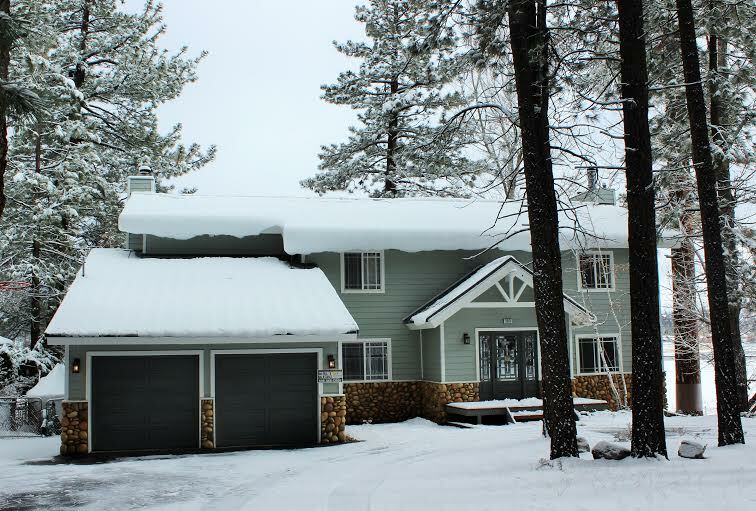 We are all doing our ‘Snow Dance’ around here as a storm system approaches Big Bear Lake. This weekend will bring cooler temperatures, rain and hopefully some much-needed snow to our beautiful town. If you are headed up for the weekend, be sure to have chains with you in the car, as well as blankets, warm clothes and some food and water. Be prepared! 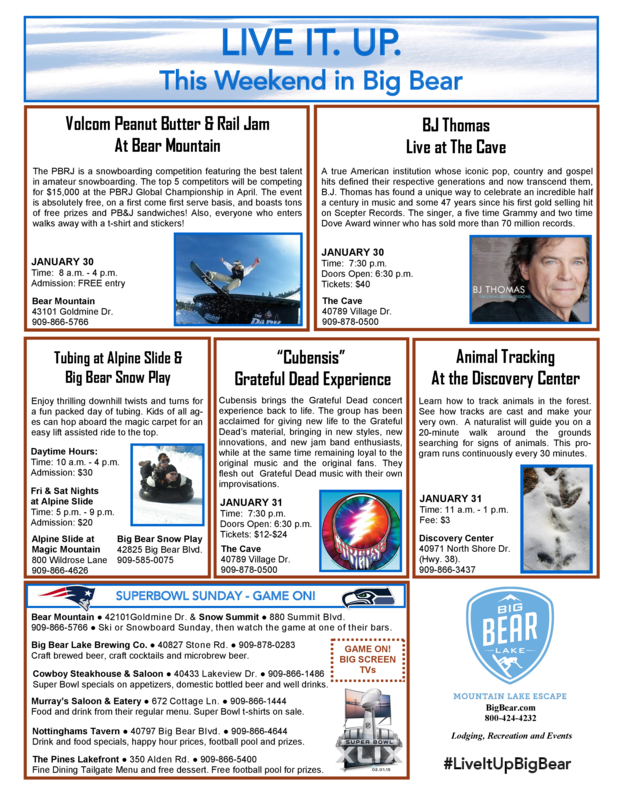 In addition to skiing, snowboarding and tubing, take some time to visit The Big Bear Lake Village. Here you will find shops of all kinds as well as a variety of food and drink options. In the evening, sip some hot chocolate next to one of the outdoor fireplaces or check out some live music at one of the local nightclubs. Take a look at the flyer below to see some of the special events happening around town as well as locations to view the big game on Sunday!